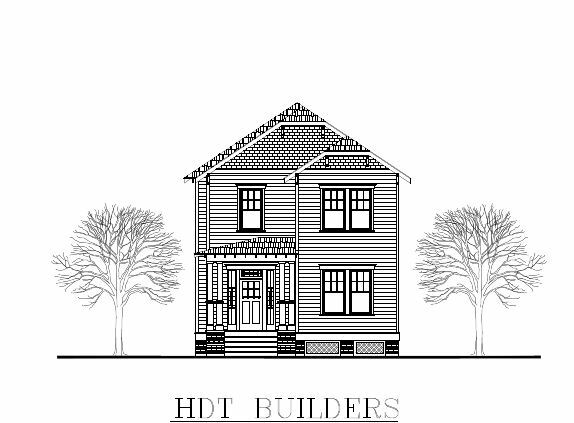 HDT Builders has started new construction in the Heights, at the corner of Waverly and W 13th. These 3 homes will each be unique.Dee is a designer, Dave is an engineer. Their homes are stunning and flow beautifully. HDT Builders took 4 lots (each 25 ft. wide) and re-platted them into 3 lots; 30, 33 and 37 ft. wide. This allows bigger yards, more variation in floor plans, and takes advantage of a side yard on the corner lot. Two of the homes will even have the master suite downstairs. All 3 are Craftsman-inspired homes designed in collaboration with Creole Design. (This house is under contract.) It is being built on 30 ft. wide lot. Unfinished room over garage. All 3 Bedrooms upstairs. Foyer, study, dining room in front. Kitchen & living room in back. House also features breakfast area with built-in seating, a mud room & screened back porch. Kitchen has island, granite, butler’s pantry, wet bar. Tall ceilings & solid oak floors. Richly detailed trim. Master will have coffered ceiling plus a sitting room. More details as work progresses. It is currently in framing stage. New construction in the Heights with the master bedroom down is a rarity. Two more bedrooms two full baths up. Great Room with fireplace, plus upstairs game room. Kitchen will have large island, butler’s pantry. Home is built on 33 ft. wide lot. Alley-access garage has unfinished room above. Energy-efficient home with hi-efficiency A/C with zoned distribution, radiant barrier, tankless water heater. Tall ceilings, solid oak floors throughout. Much more. 09/09 Update: Drilled piers in place. 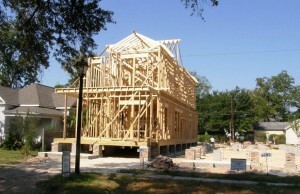 Framing to begin after framing of 1245 Waverly is complete. Corner lot, master down! Garage connects to house via mud room and the Great Room. Unfinished room over garage. Absolute attention to detail and quality workmanship. Energy efficient homes with tankless water heater, radiant barrier, hi-SEER York A/C. Details on appliances, fixtures, etc. to follow. 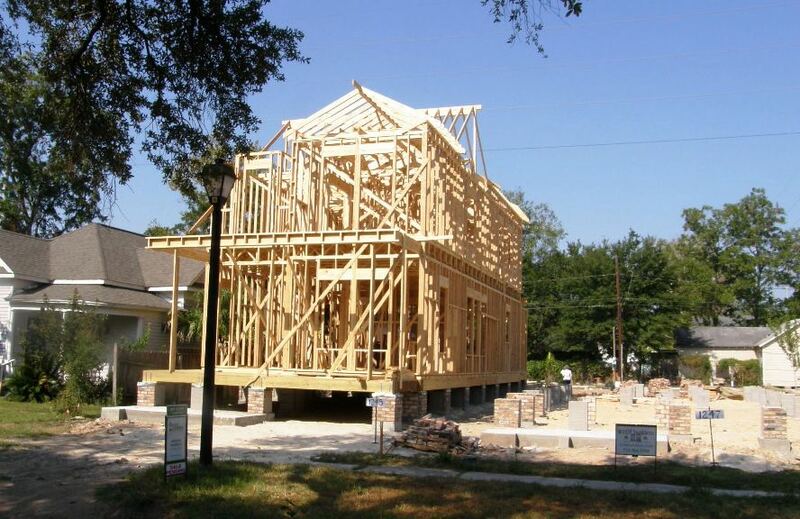 If you are looking for new construction in the Heights, start here. 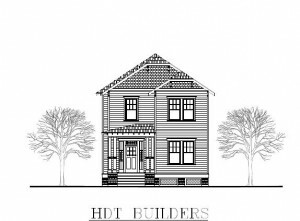 This is HDT’s third project in the Houston Heights. The owners of their homes are proud of them. These homes are listed on MLS. Links to MLS, floor plans, etc. will be added soon, as well as links showing their previous homes. If you are considering a new Heights home contact Houston Heights Realtor Rich Martin today.